Locked out of your car? Need new keys? Car, truck, SUV & motorcycle locksmiths. Our locksmiths can open your locked vehicle, make new keys for your car, truck or motorcycle, or repair or replace your ignition. Mobile Locksmiths Available 24 Hour a Day! Call Now! Locked out of your vehicle? Need new car keys? CallOrange offers fast and affordable emergency locksmith service. We can make new car keys, open locked car doors and repair or replace broken ignitions. Our highly trained locksmiths are available 24 hours a day, 7 days a week and can be at your location within a matter of minutes! Call (855) 722-1144. 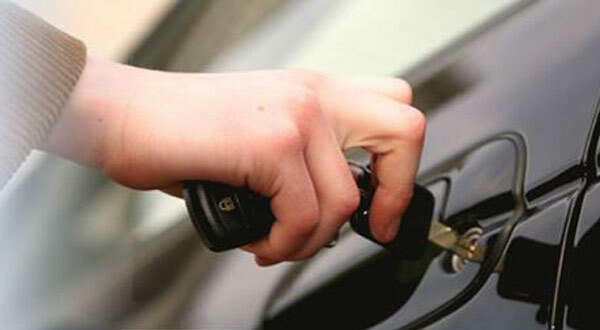 We can resolve any issues you may have with your vehicle’s locks. We have fully equipped trucks, which are on call for customers twenty-four hours a day, seven days per week. Our mobile services can assist those who are locked out, those who have lost their keys, and those who have broken their keys, as our trained technicians are capable of making keys on site. So if you have an issue with a lost or broken key, call our specialist company today for instant service. If you need a computerized high security key replaced, our technicians can help you. We have expert knowledge in the field of computerized high security keys and advanced technology, which means that we are able to replace these keys. Rather than calling the dealer, who is often more expensive, call 24 Hour Locksmith, and we will have you back in your vehicle as soon as possible. Our highly trained locksmith services are available 24/7. Click here to find a locksmith location near you!